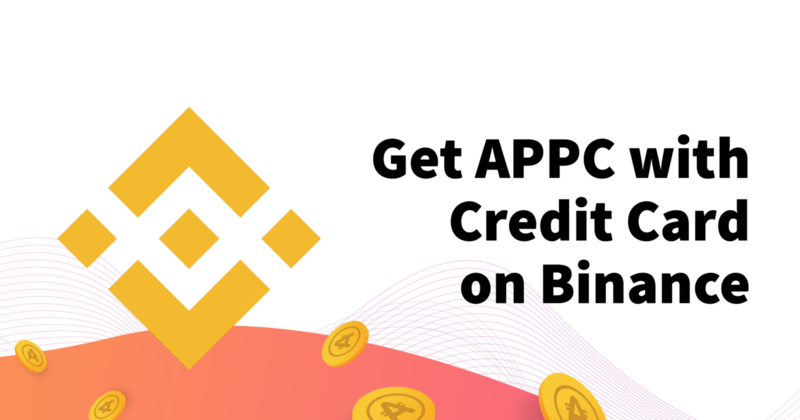 Binance, the largest cryptocurrency exchange by trading volume, has recently announced that they are now accepting credit and debit cards for crypto payments, which facilitates the purchase of AppCoins for app users around the world. The fact that Binance now allows users to purchase cryptocurrencies such as bitcoin, ethereum, litecoin and XRP with credit or debit cards, will facilitate mainstream users to use crypto. Before Binance announced this, users who wanted to acquire cryptocurrencies in this exchange— such as Ethereum, Bitcoin or even AppCoins — would have to go through a more complicated process which included having to create multiple accounts in different platforms to convert crypto to fiat. The reason for this is because, up to this point, only a few exchanges accept credit and debit cards for crypto payments — Coinbase being one of them. The fact that Binance now allows users to purchase cryptocurrencies such as bitcoin, ethereum, litecoin and XRP with credit or debit cards, will facilitate mainstream users to use crypto. “We want to provide Binance traders with fast and easy access to crypto, in the most secure way possible,” said Changpeng “CZ” Zhao, chief executive of Binance. They will do this by partnering with Simplex to support the new service. Those who use Binance to purchase AppCoins will now have a much simpler flow: create an account in Binance, purchase ethereum or bitcoin and then use the newly purchased BTC or ETH to buy AppCoins. The first ICO serving 200 million users to create a trusted economy without intermediaries. Supported by Aptoide App Store.